WILMOT, Wis. (May 22, 2016) - With television cameras rolling, “Downtown” Danny Holtgraver earned his first Arctic Cat All Star Circuit of Champions victory of the 2016 season on Saturday night, capturing the IRA/All Star Sprint Challenge at Wilmot Raceway in Wilmot, Wisconsin, over Sheldon Haudenschild and Dale Blaney. For Holtgraver, the $5,000 victory ended a recent dry spell for the Pittsburgh native during Arctic Cat All Star competition, his first trip to victory lane with the series since 2014. The pilot of Pete Grove’s Premier Motorsports/Premier Pallets/Bonnell’s Rod Shop/J&J/No. 70 now has ten career main event victories with the Arctic Cat All Star Circuit of Champions, with Saturday’s win being his first in the "Badger State." Danny Holtgraver started on the outside of the front row on Saturday evening and battled with pole sitter Jeremy Schultz during the first few circuits, eventually taking sole command by lap five. Despite a few slide attempts by Sheldon Haudenschild, Holtgraver was able to maintain the top spot unscathed; driving back underneath the Southern Pacific Farms/No. 93 during each takeover attempt. Haudenschild, who started sixth on the grid, chased Holtgraver to the final checkers, followed by Dale Blaney, Brandon Wimmer, and Kory Crabtree. The IRA/All Star Sprint Challenge at Wilmot Raceway will be replayed on the American Sports Network at a later date. Time and channel information will be posted in the near future. The Arctic Cat All Star Circuit of Champions will now turn their attention toward a pair of programs in the state of Ohio on Friday and Saturday, May 27-28. The 2016 season will resume on Friday night, May 27, at the Attica Raceway Park in Attica, Ohio, followed by an appearance back at the Wayne County Speedway in Orrville, Ohio, on Saturday, May 28. Those seeking additional information regarding the Arctic Cat All Star Circuit of Champions should visit their official online home at www.allstarsprint.com. Series updates and breaking news will be posted regularly on the official Twitter account of the Arctic Cat All Star Circuit of Champions: https://twitter.com/ASCoC. Find full text results from each and every event, as well as an up-to-date schedule, online at www.allstarsprint.com/schedule/. All Star Enterprises, LLC, wholly owned by Tony Stewart, d/b/a the All Star Circuit of Champions, is a winged sprint car series. 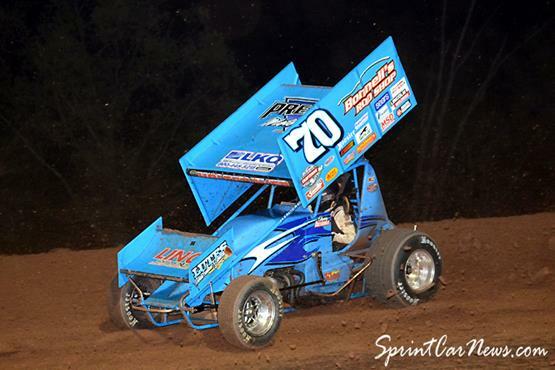 The All-Star Circuit of Champions Sprint Car Series is one of the oldest traveling 410 sprint car organizations and is a staple of grassroots, open-wheel racing. Formed in 1970 by Bud Miller, the series has largely been considered the first 'outlaw' Sprint Car organization of the modern era. After a 10 year stint as owner of the All Stars, Miller passed control of the series to Bert Emick in 1980; a reign that would continue through 2002. Guy Webb then purchased the series from Emick in the summer of 2002 and served as the series President for the next 12 years. Motorsports entrepreneur Tony Stewart agreed to terms with Guy Webb to become the sole owner of the original winged sprint car tour in January of 2015. The Arctic Cat brand is among the most widely recognized and respected in the recreational vehicle industry. The company designs, engineers, manufactures and markets all-terrain vehicles (ATVs), side-by-sides and snowmobiles, in addition to related parts, garments and accessories under the Arctic Cat® and Motorfist® brand names. Arctic Cat Inc.’s world headquarters is located in Minneapolis, Minnesota. Its common stock is traded on the NASDAQ Global Select Market under the ticker symbol “ACAT.” More information about Arctic Cat and its products is available at www.ArcticCat.com. Central PA Racing Scene 360 Power Rankings.